One of the saddest things that happens when evangelicals draw hard lines against other evangelicals is that to keep the purity of the line you must constantly draw it in tighter and tighter. Those once considered brethren and allies become enemies should they dare blur that which has been drawn. The result is ungodly and unbiblical division in the Body of Christ. Such has been the case in the aftermath of John MacArthurs “Strange Fire” conference. John Piper and Sam Storms, both Calvinists and both respected for their scholarship, have been made suspicious doctrinally for allowing that the charismata may still operate in the church today. Yesterday it was J.I. Packers turn on the Inquisitors wheel…and thus I must answer. Dan Phillips on the Pyromaniac blog reacted to some charismatics appealing to Packers work on the issue of the charismatic movement as a defense. Evidently, they had referred to his book “Keeping In Step With The Spirit“. Phillips took three paragraphs of the book out of context as a platform to mock a caricature they created of what Packer wrote. Well known Reformed Baptist pastor Tom Chantry then opined in the comments that Packer was guilty of “first-degree pastoral malfeasance” and “top-notch stupidity”. Three paragraphs…from an over 200 page book with two entire chapters dedicated to an irenic historical and theological overview of the charismatic movement. Packer carefully wrote those chapters in an attempt to bring understanding without creating division. He provided information without declaring judgment. As a result, those two chapters are perhaps the best concise overview of the theology of the charismatic movement and it’s strengths and weaknesses that I’ve ever read. In his overview Packer is fair… he doesn’t minimize the concerns some have with charismatics. Throughout the book, this is the familiar Packer pattern…recognize the concerns, analyze the teaching, bring correction, look for common ground to fellowship on. Scripture yields other principles for judging whether movements are God-inspired or not-principles about God’s work, will, and ways that the apostles themselves apply in letters like Galatians, Colossians, 2 Peter, and 1 John to various supposedly superspiritual versions of the faith. Two basic tests emerge: one credal, one moral. The credal test may be formulated from two passages, I John 4:2-3 and 1 Corinthians 12:3. The first passage says that any spirit-that is, evidently, anyone claiming to be Spirit-inspired-who fails to confess the Incarnation is not of God. The second passage affirms that the Spirit of God leads no one to say “cursed [anathema] be Jesus,” but leads men rather to call him Lord (kyrios), which otherwise they could never sincerely do (see 1 Cor. 2:14). So the credal test, for charismatics as for all other professed Christians, is the degree of honor paid by confession, attitude, and action to the Son whom God the Father has made Lord. The moral test is given by statements such as those of John, that those who truly know and love God will show it by keeping his commandments, avoiding all sin and loving their brothers in Christ (see 1 John 2:4; 3:9-10, 17, 24; 4:7-13, 20-21; 5:1-3). Neither Phillips or Chantry represented Packers work either fairly or honestly…to be more blunt it was a dishonest, disingenuous, sub Christian attack on one the the great servants of God in our time. In addition, they may have removed one of the best reference books on the subject from their readers in fueling their harangue. Perhaps they could learn something about integrity and grace if they would simply read more Packer…instead of speaking like immature, divisive, Corinthians. When your lines are drawn too tight to include men like Packer, there may be no room for the Holy Spirit, either. By the way…Dr. Packer is a cessationist. Quotations taken from J.I. Packer. Keep in Step with the Spirit: Finding Fullness in Our Walk with God . Kindle Edition. Not only Packer but Martyn Lloyd-Jones kept an open hand toward Charismatics even though he was not one. Two giants of our day set an example coupled with love; the ants who object and display uncharity cannot be seen behind them. Thank you, Ian…and that last sentence you wrote was classic! Gonna start a Packer book “Affirming the Apostle’s Creed” tomorrow. I saw that over at Team Pyro I almost choked on my morning vita rain drink. I know this is not nice but I cant stand stand Pastor Phillip’s persona on Pyro, I have listened to some of his sermons and he comes off different, more generous and understanding then on pyro. I’m sure I will be pilloried for ad hominem but it is what it is. That’s neat little book…I liked it a lot. You know what struck me as I was reading this…I am so limited in my time online these days, and honestly so ignorant of who is out there in the blogosphere, that the names that are being tossed about are for the most part foreign to me. I thought about going over and looking at the article and reading, and then I decided that it is not worth my time…but I was struck by the fact that there will be those reading the article who simply do not know who Packer is and who may stumble across him because they follow Pastor Phillip…and low and behold they may find themselves reading something that opens their eyes to something new. It’s funny how God does these things sometimes. I understand your deep insult that you take in this, and I understand the division that these articles cause. I understand all too well the the harm that these words can cause, and the frustration as they can distract and harm…but I also am aware, as has been said multiple times, that Packer probably is not as bothered as most of his defenders. He will not be bothered at an insult to his reputation…but he will be saddened and will sigh and will put his head down and continue to pour into the lives of students who listen and who are amazed that he pours into the lives of students who have names that no one else knows. That he answers his own phone on campus and takes office hours. That he is humble and simply loves to teach and loves the Word and cares. I remember when I went to him when I had someone in my Biblestudy who called him a heretic along the same lines as this article…it was in regard to his stand with Catholics…I was frustrated and wanted him to clarify some things for me. He patiently discussed the matter with me while my 2 year old climbed over his books in his office and I held my baby…and there was no anger or slight to his pride…there was just a mixture of sadness and a humor and humility. He said, “Northern Conservative Baptist.” I said, “Me, too! Past the insult was the same fear that I have when we deal with the ODM’s. How many people have lost the wonder of being able to read Eugene Peterson, or Gordon Fee, or now Packer because their tribe denounced them? Thank God…and I say that with much emotion…thank God… I had this friend who gently introduced me to her friends from Regent and opened up my heart and spirit to so much more of the things of God. Thank you as well for this comment and your insight into Dr. Packer. Dr. Packer thinks deeply and feels deeply it seems to me that the pyro folks think, sort of, then speak. The feel thing does not really work for them. However, that would have been as much a denial of Packer’s legacy as that blog was. I picture Dr. Packard sitting at his desk, praying God grant me understanding, writes out a paragraph or two, then goes back and prays, God grant me understanding, then goes back and corrects parts. He puts the paragraphs together and again prays God grant me understanding. He is also studying during these bouts of understanding. Then the text is done and Dr. Packard goes back through it line by line, praying God grant them understanding through this text to know you more. Then he goes back over it again. The other guy sits down reads through the book, pulls out the topic that sits well with his positions and writes a pithy blog, prays God convict them that I am right. Well said, Michael. They sound like upset members of the Christian Country Club, “How did THOSE people get in? They don’t belong here.” It is all so childish, this pointing at others and claiming they really aren’t “one of us.” I had hoped John MacArthur had mellowed with age, since he hadn’t released one of his ranting hate books for some years. But no, he is still angry that God would have the nerve to let “those people” into His kingdom. I thank God that neither JM nor any of his ilk is my judge, for JM would rather send me to hell for not meeting his standards of purity in doctrine. He was clear about that with his Strange Fire proclamations. Is there anything that these men will permit the Holy Spirit to do, beyond bringing someone to salvation? They seem terrified that God might actually want to interrupt their scientific world, to pierce their orderly rules for how He is allowed to behave. I pity them for being so myopic toward a great God. brian….that is probably pretty close to true. Michael…I just have a feeling some will discover Packer through all of this. Some will be turned off to him, yes, and will avoid him, but some will be curious and will pick up his books who might never have read him before. I’m off to bed…but praying as I go for wisdom for you as you mentioned on the other thread that you are in the process of attempting to expand things here. Praying for you as your audience widens for you to have the wisdom and the strength and the grace that is needed to provide the atmosphere where you can encourage people to think with grace and with clarity…and with compassion. I think that is the greatest thing missing in all of these discussions…compassion. When we have to confront, and we’ve had long discussions here about the necessity to confront because there will be times we need to do so, learning how to go about that with compassion and with grace. Learning how to debate and how to dialog and how to think-out-loud in this crazy internet environment with some sense of desire for the spiritual health of the other, rather than just proving out points. Humility, I guess is part of the element missing, and that is one of the greatest marks of Packer. It’s hard to see MacArthur end this way…he has at times been a prophetic voice to the Body. Please forgive me but I laughed so hard at this idea it is just really, well American. There is this blog/ Facebook group that is looking to start a fund to help women become ministers and they are calling the scholarship the Mark Driscoll Scholarship. I literally laughed for five minutes. I got one the John MacArthur Pentecostal worship scholarship. I would kick in some bucks. I have an early morning coming…bless you and we’ll continue tomorrow. God makes the end I was thinking on that Pastor MacArthur from my take seems like a personable individual, wants to help people and I know for a fact his church does many good works for the least of these. His interactions with Joni are spirited and touching, he gets major points for that in my book and in God’s book as well, if I read the NT right. But I think he gets scared of messes, especially theological messes, yet he is a dispensationalist and reformed in his soteriology. That one made my head hurt for a while. So I took a note from my students, who often teach me more about God that anyone. He is scared he could be wrong in a theological camp that being wrong is like slapping God in the face. Its not, we are wrong all the time and guess what, God knows we are wrong. The fact I am still breathing goes to show God is long suffering at error, I am often a walking error. I think if Dr. MacArthur just let go and fell into the hands of Him who will comfort us he might find a new vision of God. Just a thought. I picture this vision of heaven with Dr. MacArthur stunned to see Lonnie Frisbee in heaven chatting and singing with Chuck Smith. The Lord looking at Dr. MacArthur and saying Yes John that is what I call grace. Just a thought. MacArthur was slinging mud back in 1985 when he misrepresented a denomination that I served in for 30 years. That’s when I trashed his books, and chose to never listen or read him again. I really don’t care how great a Bible teacher he is. I heard the “He’s a great teacher” line too many times in my life. Just seems like simple common courtesy if you think God speaks through you from the pulpit to others to allow God the freedom to speak through others to others as well. You know Bob Sweat that hurts, I know how it made me feel when I went through it. More proof of the folly of Selective Fundamentalism. Largely subjective, as illustrated by the constant bickering and doctrinal hair-splitting. It is what it is, the bible is not inerrant or non-contradictory or an Absolute…as illustrated again and again by the fact that there is little disagreement on so many issues…even within Sub-groups and Sub-Sects of the Christian* faith. RB I hope your family and you are doing well, you will know how hard this is for me, but I pray for you and your family in my strange sort of way. It gives me hope that you rose above the pain and broke the cycle. I think God has His hand on you. I know when I went through the roof concerning Dr. MacArthur was when he said on Larry King life, “science so called”. I watched the entire encounter, it was a farce, when Deepak Chopra speaks more truth about science then Dr. MacArthur. It was utterly embarrassing. Great, Great Post Michael! Can’t tell you how refreshing it has been to read posts like this amongst the whole Strange Fire sadness. Please keep it up! The pyro egomaniacs step in it again. All of their criticism of “providing cover” is laughable considering the cover they have provided for SGM. There are so many good thoughts on this thread. Y’all are giving me the urge to pick up a book and actually read. But my take is that books are a result of intelligent design. It would be a step backwards. I’m sure his book would get along with my scattillogical paperbacks. In fact, it wouldn’t surprise me if I went out to the garage and opened an old box of books only to see them bowing down to Knowing God. You always make me think. Your #24 is priceless! Best Emo joke: I’m not Catholic, but I gave up picking my belly button for lint. You know I had to try to write something in this circumstance. So, Dan Phillips lamenting that folks are dragging the good name of Dr. Packer in to defend the errant practices of the Charismatic movement is misrepresenting his work? Help me understand how that is, please. Also: your first example of Packer’s “fairness” is a far more concrete killing stroke than any of Dan’s examples. What Dr. Packer called “concerns” would have any preacher in a church who valued the Word of God thrown out of his pulpit. So, I see far more agreement with Dan’s post than argument with it. Dan Phillips is dragging Packers name through the mud by not representing the work he cites honestly. I’ll let you and Phillips organize the militia to empty pulpits of anyone not in your circle. Jim makes an excellent point…where was the outrage over the SBM debacles? Just using Packer’s own admission of the Charismatic doctrines in that first passage cited here: if a pastor met these qualifiers that Packer cites – “Charismatic theology by comparison looks loose, erratic, and naive, and the movement’s tolerance of variations, particularly when these are backed by “prophecies” received through prayer, suggests a commitment to given truth in Scripture that is altogether too fragile,” – would he be fit to teach or preach or pastor a flock by Biblical standards? I mean: if that preacher tolerated a variation of Baptist in the flavor of Westboro, what could be thought of him? Bab’s 11:05 comment. Spot on! First off, a comparison to Westboro is unfair and ridiculous. Second of all, the shallowest teaching I’ve ever heard has come from dispensationalists…who MacArthur affirms theologically. Is it fair to judge a movement or an author by a small sample of their works? That would be no as well. I think Sarah is absolutely right…somehow, many will find Packer’s books due to this flap. I agree with BD #32 . I constantly think John Mac is mad at me when I happen to hear him on the radio (for a few seconds). Currently praying for the pastor & church we are now attending to ‘get Pentecostal”. The lack of it is pushing me to be more so. BTW….I have been seriously inspired the last few days by the testimonies at the I Am Second campaign site. Powerful http://www.iamsecond.com Scott Hamilton’s is amazing. MacArthur is trying to cast too big a net. I see no issue in calling out the fringes of any movement, but to call out those who ask for toleration of the more mild forms of any group is to overplay one’s hand. At some point, we all have differences in thought and practice. The ability to emphasize or diminish those differences is key. I doubt Mac would go after “the Doctor”, but his minions might. I hope that many find Dr. Packers books and learn how theology is supposed to be taught. Thanks, Papias…I agree on all points. Here is a critique of Strange Fire that will send you scurrying in MANY directions at once to check him out. I know John Ruthven and he is a scholar and a unique character with a keen mind and a rather impressive ability to push a matter. You can obviously see his incipient critique of the reformed tradition. He makes that explicit in this book which is unlikely to receive a wide reading but should. Let’s be clear on something. MacArthur is quite comfortable affirming SOME of the spiritual gifts. 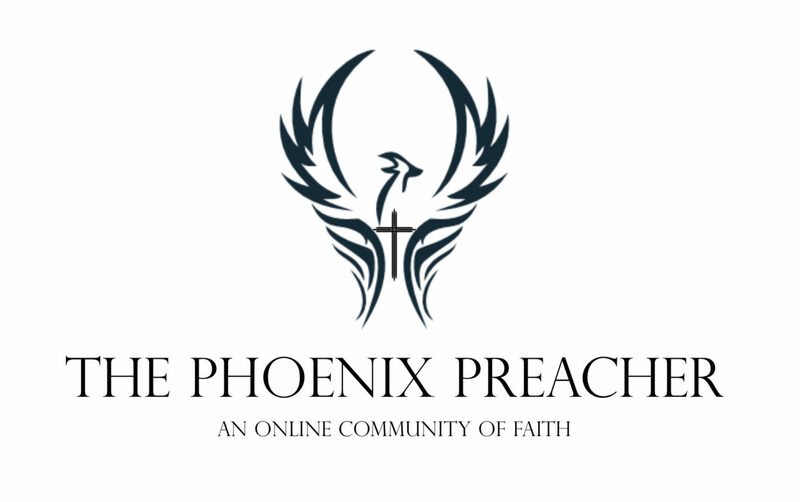 Teaching – Someone needs to preach in the church. I go back to my earlier, tongue in cheek, comment. If a preacher like MacArthur not only believes but flat out declares that the Holy Spirit uses him personally to speak to God’s people through his messages, then why is it such a stretch that the Holy Spirit might use the average pew-sitter to speak a word of wisdom, knowledge or prophecy to another average pew-sitter during breakfast at Denny’s after the service? Brother, forgive me, but I very respectfully submit that you seem to be missing the thrust of Dan’s post. Dan quotes Packer as admitting unequivocally that the “glossolalia” as commonly referred to today by the charismatic movement (i.e., a “private prayer language”) simply can NOT be equated with the NT conception of the gift of tongues. In other words, Dan argues, in the first place Packer doesn’t provide charismatics with the support that they sometimes credit to him, since if tongues today AREN’T what they were in the NT era, there simply cannot be “CONTINUATION” in that respect, can there? Further, Dan is *ABSOLUTELY* correct in that the things Packer actually SAYS about modern glossolalia are far from flattering and are not something I can imagine anyone really wanting in the first place. “The mood is maintained but the mind is on vacation”? “Letting one’s vocal chords run free as one lifts one’s heart to God”? Really? Further, I would actually maintain that Packer’s reading of modern glossolalia makes it dangerous on the very criteria of 1 John and 1 Corinthians to which you yourself appeal! A. Because, whatever else we say about 1 Jn. 4:2-3, we CANNOT say that confession of the incarnation automatically baptises teaching as authentic and godly–Mormons affirm the incarnation; prosperity heretics affirm the incarnation; Trinity-deniers of a hundred different stripes affirm the incarnation. Does that mean the rest of their teachings are somehow valid and safe for Christians? Hardly! John is here referring to a very specific heresy in a nascent form of early Gnosticism–it’s simply illegitimate to make “Do you affirm the incarnation?” as a test of universal orthodoxy, which is exactly the implication you’re making here. As an exercise, you might try looking at how much John emphasizes the concept of TRUTH throughout his letter. (It’s also, by the way, one of the prominent, overarching themes of ALL of his works.) How does the concept of committed, received, doctrinal truth mesh with Packer’s characterization of modern glossolalia as occurring when “the mind [is] on vacation” or as a “relaxation of rational control”? B) Now, with respect to 1 Corinthians 12:3, I actually feel that this should be somewhat obvious, but I’ll go ahead and ask anyway: If Paul is here talking about a spiritual gift that “confesses Jesus Christ as Lord,” then how is that in *ANY* way comparable to what Packer identifies as the modern glossolalia? If private tongues are, well, PRIVATE (and therefore completely uninterpretable), then how can anyone TELL whether they confess Christ as Lord? Isn’t it obvious that this in part is exactly why Packer says the modern glossolalia are NOT contiguous with the NT gift of tongues? Further (and even more puzzlingly), how can you appeal to 1 Cor. 12:3 in support of Packer’s argument if Packer is actually writing about something that he himself is fundamentally and completely DIFFERENT from the matters Paul is attempting to discuss in 1 Corinthians? Moving on, it surely needs to be said that Dan is absolutely and uncontestably CORRECT in pointing out that when Packer explains the so-called “virtues” of modern glossolalia, and when (in the other article Dan cites) Packer says that no one should forbid the practice of modern glossolalia, in those places PACKER IS NOT MAKING *ANY* APPEAL TO SCRIPTURE WHATSOEVER. Come on now: surely you’ll admit that’s PROBLEMATIC, yes? Surely it really is A Big Deal that Packer can recognize on the one hand that the practice of modern tongues is NOT something the New Testament endorses, but on the other hand say that it’s no big deal that people practice it, or that it’s being taught to immature believers as a better way to pray? Finally, you seem to deeply mischaracterize Dan’s argument as though he’s saying how much he hates Packer, how “beyond the pale” his theology is, etc. That’s NOT what Dan is saying. Dan is saying that (A) on this issue, Packer is seriously, gravely mistaken; (B) Packer is irresponsible to encourage believers to pursue or continue a practice he already admits is without biblical foundation; and (C) none of the TREMENDOUS things that can be said about Packer’s INCREDIBLE other works can in any way excuse grave errors (A) and (B). I’d have thought this particular point to be so obvious that it could be left unsaid, but the fact that you appear to miss it so completely suggests that maybe Dan’s post was rather timely indeed. I am very sincerely not trying to be mean here. I *LOVE* J. I. Packer. Like Dan, I’ve been served so well by books like Knowing God that I frankly owe him a debt I’d never ever be able to repay. So I completely understand and appreciate why ANYONE would want to spring to the defense of such a great and godly man. From what you’ve said here, though, it appears that you’re so hung up on Dan’s tone, that you miss the thrust of his argument: he absolutely HAS NOT “drawn [lines] too tight to include men like Packer”–he’s only said that Packer is very badly WRONG here and that the good and glorious things he says about other matters elsewhere don’t make him magically NOT-WRONG about this issue. Honestly, Dan’s tone didn’t bother me, as much as I love and appreciate Packer. (I’d agree that Chantry was probably a little over-the-top, though.) But whatever Dan’s tone may have been–and whether he would’ve been wiser to use a tone that may not have evoked such a visceral response from so many people–I just don’t see that anything in your post today really overturns any of his actual arguments. Again: not trying to flame. I really sincerely hope this helps. Michael, we’re not talking shallow: read Packer’s excerpt. And how is the Westboro connection any different from providing cover for guys like TD Jakes, a prosperity preacher who denies the Trinity? Are the gifts, as described nowadays, equal to the way they are described Biblically? I think cessationism is an attempt to be honest. It means that a person does not want to deny being a believer in Jesus who was clearly supernatural. In the absence of any experiences that correspond to the Bible in a way that makes sense to them they are forced to have a theology that allows them to affirm the supernatural works of Jesus without explaining the absence of them in Christian life today. People who are cessationist have a deep love of Jesus and defend the Bible but since they cannot find a church that is in their view consistent with the Bible they have to retreat into some form of acceptable unbelief. Forget how we might answer on a theological exam, the key is what one really thinks is the Body of Christ and thus what it means to serve Christ. To live for Him as a member in the Body of Christ. If the Body of Christ only matters as to the people that show up to church services, then the gifts are simply whatever is at work in the church service. If the Body of Christ is the collection of all the saints, as they live their lives unto the Lord 24/7 – if service to Christ is not just at the local church, but at the job site, within the family, helping the community, and talking to and assisting one’s neighbor – then the gifts have a much broader purpose, and certainly a complete canon does not negate the need for those gifts. Some of us pastors are not fearful about God using the “rank and file” for His purposes and glory outside the church service, beyond just inviting others to come hear us preach of course. I actually thought Curtis Sheidler above got it right. I read it the way he did. And as a glossalaliac I am not offended by the questioning being presented. It was the line that I held for quite a while and that I still find cogent, that is clear, though I remain unconvinced. Also, I think we are a bit too testy when our loved ones are challenged. Packer is a great man and we want to uphold his honor as well we should. And happy birthday Billy Graham. There are far more spiritual gifts than tongues that MacArthur denies. To only discuss tongues misses the larger picture of his reasoning against multiple spiritual gifts – and the faults in that reasoning. First, in a badly divided Body in a badly divided nation…tone counts. Long time readers here know that I take great personal umbrage when I feel that Packer is dishonored in some way and they also know that if I choose to be radically polemic I’m more than capable of doing so. I chose to try to honor what Packer has embodied for years…which is humility and grace. That doesn’t come easily or naturally to me. My argument with Phillips and Chantry is that they took a minute sampling of Packers work and distorted it as a means of creating yet more division. They ignore not only the context of his comments within the book, but they also ignore the context of that book within the greater body of work that Packer has produced on this subject. He has written extensively, biblically, theologically and exegetically for many years on the charismatic movement. What Packers book could have done is start a very good conversation about the issues at hand and enabled warm debate instead of cold division. As pastors and people love the word of God it is incumbent upon us to speak to our differences with other brethren in a way that they can listen if we truly want to be heard…and that is where the Strange Fire folks are simply boiling over. This would have been a better post if it had actually addressed anything said in the TeamPyro post. However: maybe the Spirit inspired this, so let’s not quench the Spirit. I can see a lot of that, Michael. And, as I said before, I love Packer too and where he’s right will defend him against anyone. That said, Dan is responding very narrowly to the use of this specific work of Packer’s as a defense of charismaticism, and (more pointedly) a defense that some suggest (implicitly or otherwise) that folks like Dan are too dense or too ignorant to engage. And while I don’t want to get into a “who shot first?” debate in terms of enflamed tone (spoiler alert: it was Han. :-P), I’ve seen Dan on the receiving end of some pretty intense vitriol on this issue for YEARS, so I can understand why he takes the tone that he does on these matters. In terms of how Dan’s characterized Keeping in Step With the Spirit, though, I’d only ask this: what part of the broader context of Packer’s book really dismantles the arguments Dan made? I have to run to an appointment….back in a couple of hours. MaCarthur made an excellent point that the majority of Christians believe the gift of apostleship has ceased. Only a very few minority believe in modern day apostles. So a majority of Christians are somewhat cessationalists at least to this gift. “Only a very few minority believe in modern day apostles.” Hard to make a scriptural case for no modern day apostles, unless you define apostle to mean the original 12 (Paul replacing Judas). If that is the definition, then yes, I would agree, no apostles today. Yes, I am referring to the original 12. Those that were eye witnesses to Christ’s resurrection. Those that wrote scripture and those that were the foundation of the church with Jesus Christ being the chief cornerstone. The Holy Bible: English Standard Version (Wheaton: Standard Bible Society, 2001), 1 Co 15:3–8. Wayne Grudem (a continuationist) notes in his Systematic Theology, “It seems that no apostles were appointed after Paul, and certainly, since no one today can meet the qualification of having seen the risen Christ with his own eyes, there are no apostles today” (p. 911). It seems quite certain that there were none appointed after Paul. When Paul lists the resurrection appearances of Christ, he emphasizes the unusual way in which Christ appeared to him, and connects that with the statement that this was the “last” appearance of all, and that he himself is indeed “the least of the apostles, unfit to be called an apostle” (Grudem, Systematic Theology, 910). Mr. Steve, amen, so long as you men by “what one really thinks is the Body of Christ and thus what it means to serve Christ” is believing what God said about Himself and obeying that. And I’m not asking you to answer a theological exam. We’re called to believe and exercise and obey what God’s Word says, inspired by His Holy Spirit and lived out in His power by grace – which requires right theology, agree? I’m concerned that people line up to defend their ‘people,’ yet do so at the cost of leaving their faith defenseless. Our system is sacred, our Savior gets soiled. Our interpretations get the spotlight; the incarnate one sings back-up. No small view eclipses the big picture without supplanting it altogether. Our collective allegiances prohibit unity, love, compassion, humility, and mutual submission–all core values of the Kingdom of God. The audience laughing at Emo Phillip’s joke is the world laughing at us. Problem is many charasmatic teachings are damaging and unhealthy, those need to be be exposed and rebuked. You as a charasmatic will either accept correction or allow the foot of pride to come against you. I was deep in that movement so I know the superstition in that movement. Easy to dismiss them until u see the damaging effects thise teachings have on the sheep. Some say theology divides. However, I believe correct theology unites like nothing else. MaCarther mentioned that truth is divisive by its very nature. Truth and falsehood are like vinegar and water or like light and darkness. We are never called upon to compromise truth. I can love those in error but its not loving to dismiss the errors especially when they are serious ones that cause damage to the sheep. I can’t think of a person who shares all of my convictions of ‘truth,’ including my wife. the more it matters, the smaller my circle…pretty soon my shadow won’t fit inside the ring. I believe the scripture doesn’t read, “now these three things abide, faith, hope, and truth, and the greatest of these is Truth.’ When we qualify our love, we limit it. I apologize for my contrariness. Assuming you are correct, then there is a problem. Why should he not demonstrate the same attitude and manner in both settings. That would be good character. Do you guys really believe the gifts that Paul taught about in I Cor. 11 have ceased? Do you really believe that scripture replaced the power? Do you really believe that the apostles who saw Jesus and were eye-witnesses of Jesus needed the power of the Holy Spirit more than we do? Do you really believe that miracles belong to the foundation of the church and not to the structure? Are there any bona fide cessationists on this blog? Do you think scripture exegesis defends your position? Somebody help me out here. Michael is clear that he believes the scriptures do not teach cessationism. He is clear that his support for Packer is that he be neither misused by us nor abused by them. (yes us and them) I just want to know if the best you have on this issue is our extremes and your lack. I just want to know if John Mac is the best you can do on this. For what it's worth, I do not believe that they have ceased. I’m not a cessationist either, but I also don’t believe that the gifts the bible talks about are what we see in modern charismatic services. Why would some of the gifts need to remain active today, and others cease. This is what MacArthur teaches. We hear that somehow the Romans stated gifts are still active (and needed) and the Corinthian ones are done – of course, prophecy makes it into BOTH lists so even if somehow there was validity to exclude one book and include the other, seeing the one gift in both places would make that idea troublesome….and besides, what else can we exclude from Corinthians anyway? If one looks at the Biblical examples in Acts of a word of wisdom, work of knowledge and so forth, it is hard to see how a complete canon would make those irrelevant. That said, every sensible charismatic will always say that any such exercise will NOT contradict the Scriptures in any way. The tongues of today do not appear to be anything like what was experienced in the apostles day. Not even close. True Andrew. The healings aren’t the same either, and that’s the rub. The same reason you don’t continue to build a foundation for a building once its been laid. I would contend that life unfolds in such a way that if we were boots on the ground in Jerusalem during Jesus and the apostles we would have similar attitudes and we would dispute reports of gifts as not being equivalent to Elijah and Elisha. There is always something more believable and credible about historic reports than contemporary ones. The doctrine of ceesationism hangs on the doctrine of Sola scriptura: Cessationists are uncomfortable receiving actions and messages straight from the Holy Spirit. If it’s not printed in their Bibles, they aren’t going to accept it. The irony is that one cannot prove cessationism by means of Sola scriptura. The Scriptures don’t support cessationism. Therefore, cessationism is a tradition, not a doctrine based on Scripture. They can have cessationism or Sola scriptura but not both. Maybe, but that doesn’t erase the fact that I’ve never seen a genuine healing in person. The guy in 30 AD would probably say the same thing when hearing about the miracles, but when faced with the blind man who is no longer blind, there is not much he can say. I’m open to that same experience. I would LOVE to have that experience. I just haven’t had that experience. Josh…I have a friend from the church I attended when I was in college. He was pretty much what you would call an average guy in the congregation. He attended a mission trip with an outreach in Mexico and during one of the ministry times a man was brought to him who had a broken foot. A badly broken foot, like where you could actually feel and see the broken bone. My friend took the man’s foot in his hands and prayed, and he felt the bones move back into place. The man stood up and walked away from the place with his foot healed. I’m 43 and that’s the only story like that I have where I actually know the person who prayed and held the broken person’s body and felt the healing happen (although I’m guessing Dread probably has some stories). And I guess for me as well because this person was simply an “average” person…he was simply a congregant who was faithful to go on the mission trip, was a faithful believer and prayed in that moment with a hopeful faith. Everytime I pray for healing for someone, I think of that person and that healing. But that does not negate their validity, purpose and necessity for the Body of Christ in day to day function. The apostles repeatedly appealed to the proof of their witness by the power of God in lives. The scriptures, if authoritative and final, demonstrate to us that we need for demonstrable proof of the message. Paul vindicated the resurrection by eye-witness reports most of whom were not apostles. Hebrews the writer called upon people to sustain their faith because gifts and miracles had vindicated the truth of their witness. The Holy Bible: English Standard Version (Wheaton: Standard Bible Society, 2001), Heb 2:3–4. Paul spoke to the Galatians of God supplying the Spirit whereby the worked miracles. They expected these reports to vindicate and prove their message. I am preaching to myself and these things keep me pressing forward. J.I. Packer wrote that book many years ago. It’s purpose was not to be a polemic on the charismatic movement, but inside a larger study of the work of the Holy Spirit he addressed the issues. He wasn’t attempting to dismantle any of the arguments being put forth, he was giving an historical and theological overview. It seems that Phillips main issue is that Packer didn’t eviscerate all charismatics. Anyone familiar with his work would know better. My wife prayed for a woman in Mozambique who was blind and walked away with sight. My friend prayed for a woman in Brazil who came into the meeting blind, the people who brought her in were with her, she testified and had her sight. I was there. I am sorry that some have no stories or eyewitness accounts. I hang out in meetings with Charismatics ALL the time, crazy meetings. healing meetings, and hear reports that I too doubt. But always there come accounts that I cannot refute. My church is filled with people who have been healed. It is also filled with unhealed people many of them long term sufferers. I myself have not been healed my wife has. A man from India has been with me this week and he only believes because of the power of God. He told me last night that India has a burgeoning population of new Christians. I said why do they believe? He said because they come to meetings on mats, on crutches, in wheel chairs, blind, deaf and lame and they leave whole. He said they are believing because of the power of God and leaving idols because they are impotent. A man was with me yesterday, an African ‘apostle’ he is only 31, the stories are endless. He is telling of where he lives and what he sees. I have been with him there. He also tells of those who see the miracles and then depart, somewhat like the problem in the book of Hebrews. All of us with stories of victory have more stories of defeat. ALL but we persevere because it is worth it. Do I need to go on about the people who live by visions and dreams. Or about the writer of Hebrews and his plea, “TODAY IF YOU HEAR HIS VOICE.” We must not, we dare not abandon our pursuit of God AND his mighty power. And we know our path will be replete with failure and disappointment but that is true in giftless churches as well. As for sola scriptura, can you even have an authoritative Bible without an authoritative church to tell you when you have it? The authority of the Bible rests upon the voice of the Spirit within and who is the witness to that voice? The irony is that one cannot prove cessationism by means of Sola scriptura. The Scriptures don’t support cessationism. Therefore, cessationism is a tradition, not a doctrine based on Scripture. Ironically you can’t prove continuationism by means of Sola Scriptura. This argument cuts both ways. IN this case, those making the argument don’t hold to Sola Scriptura, Andrew. 1) Argument – if the gift of healing was for today, we could heal everyone in need, like (supposedly) the apostles did. 2) When brought to the discussion that Paul in fact did NOT heal everyone, that he left people behind who were to sick to travel, that he gave medical advice to Timothy the argument then is that Paul was losing his “power” to heal because we were getting closer to a complete canon. Which is ludicrous, but nonetheless, is what is stated. Um, Ok. Xenia, Dread…Do you guys hold to Sola Scriptura? Again, just like tongues, the healings we see today do not seem anything like what the apostles did at the peak of their ministry. I would reject that one right off, because of Jesus at the pools of Bethesda. Only healed one guy, left many others untouched. The Scriptures also point out various individuals that were with Paul, and yet were not healed by the apostle. Paul left Trophimus sick in Miletus (cf. II Tim. 4:20). Epaphroditus almost died, being sick with a lengthy illness (cf. Phil. 2:26-27). Paul instructed Timothy with medical advice, rather than to seek a supernatural healing, when it came to his ailments (cf. I Tim. 5:23). Paul himself discussed a “thorn in the flesh,” commonly believed to be some sort of physical ailment, that God refused to remove (cf. II Cor. 12:7-10). The cessationist must explain these situations, while insisting on healing as a gift that is always operable for those, like the apostles, who had it. MacArthur provides an explanation. His view involves noting that the above situations were later in the ministry of the apostle. He then concludes that the apostolic age had ended, and thus Paul’s ability to heal had been removed from him. The cessationist typically connects the cessation of certain gifts by means of the completion of the canon. Epaphroditus’ illness would have occurred before about half of the New Testament books were written. Paul wrote Second Corinthians from Macedonia, during his third missionary journey, around A.D. 57. This is the letter where the “thorn in the flesh” is mentioned, and MacArthur grants this to be a physical ailment, yet declares that since this was twenty-five years after the initial healings of the apostolic age, he was incapable to heal. MacArthur then seems to contradict himself by later mentioning Paul’s ministry in Malta, where he was shipwrecked while in route to Rome as a prisoner. Paul not only healed the father of Publius, but when word of the miracles spread, he healed everyone else on the island with diseases (cf. Acts 28:8-9). Of course, this all took place well after the writing of Second Corinthians. He first argues for an unlimited gift of healing, entrusted to the apostles, but then removed by God before nearly half of the New Testament was completed. He explains all cases of unhealed sickness among Paul’s companions as taking place after said removal, but is countered by Scripture showing healing taking place up to the last chapter of Acts. Therefore, one can conclude that God used the apostles to heal on many occasions, but they did not have unlimited power to heal. This fits the definition perfectly, for they did not have the gift of healing, but instead they received gifts of healings. These healings were for the glory of God, and the authentication of His Word, and both motives are certainly needed today. Pragmatically I am a sola scriptura guy… I am a BIBLE guy, if it ain’t there I ain’t with you. Formally, I think the claim is flawed. My comment about an authoritative church reveals it. Its kind of funny to watch cessationists attack non-cessantionists based upon ….. experience. Sure, there’s abuses of gifts in some churches that believe in them….but then there’s also abuses in churches that don’t believe in them as well. Josh, I do not believe in Sola scriptura. That is a Reformation doctrine. But I do believe the Bible. I absolutely believe gifts are still happening today. That’s why I try to stay away from those places and people. I think people who wish they would experience these huge miracles don’t really understand what they means. At least to me. If they are true, if all that’s written really could happen, actually would happen in front of our very eyes….everything changes in that insant! Everything! It means the God we talk about so flippantly and say is here with us, really is. And if he really is…then how dare we live the way we do, act the way we do, say the things we do…. I want cessationists to be right, mostly because its the safer, more comfortable option. I don’t believe, however, that they are. I can pretend its so however as long as I manage to not see it happen in front of my eyes. Maybe God does most of us a favor by not revealing himself more fully. It does not appear that those extraordinary gifts of the Holy Spirit were common in the church for more than two or three centuries. We seldom hear of them after that fatal period when the Emperor Constantine called himself a Christian. Then he, from a vain imagination of promoting the Christian cause, heaped riches, power, and honor upon Christians in general, but in particular upon the Christian clergy. From that time, the gifts of the Holy Spirit almost totally ceased…The real cause of the loss was that the love of many, almost all the so-called Christians had grown cold. The Christians had no more of the Spirit of Christ than the other heathens…This was the real cause why the extraordinary gifts of the Holy Spirit were no longer to be found in the Christian church after that time. It was because the Christians turned heathen again, and had only a dead form left. So, when this faith and holiness were nearly lost, dry, formal, orthodox men began even then to ridicule whatever gifts they did not have themselves. They belittled and discredited all the gifts of the Spirit as either madness or fraud. As a result, the miraculous gifts of the Holy Spirit were soon withdrawn from the early church. Therefore, to say the miracles never occurred is to say that all who participated in them were either fools or scoundrels. They would be fools for believing miracles occurred if they had not. They would be scoundrels if they reported miracles had occurred if they knew they had not. That was very insightful…I need to chew on that for a while. If you have a God who can only be accessed through a Book, no matter how precious and true that Book is, you have a very safe God, a God who will never break through into your daily life, a God who will never do anything unexpected. You can close the Book and set this God on the shelf for a time and pick Him up again at will. If you have a God who can explode the bounds of that Book, who just might break into the ordinariness of your life with a miracle or a word, then this in not a tame God who can be shut away in the pages of the Book. As Aslan said, this is not a “safe” God. I actually like London’s take myself. Sort of a scared to know the truth approach. Nice. I don’t think that you understand what the Solas are – no one, probably in the history of the church has ever advocated that God can only be accessed through a Book. Where did you come up with that? I think you just reject them because they came out of the Reformation – like the Evangelicals who reject things because the RCC do them. From talking with many people who believe just this. I won’t send this down an EO rabbit trail, but to say I reject Sola scriptura because it comes from the Reformation is ridiculous. The Orthodox have never believed in Sola scripture. I am Orthodox; therefore, I do not believe in Sola scriptura no matter who else does. This I know. HE STILL SPEAKS TODAY. There are so many flaws in the idea that the scripture replace the present active indicative that I would just about have to stop being a believer. Most of the world for most of history has been either illiterate or had no access to scripture because of lack of translation or because of an untrusting apostolate in the church. No translations, no Bibles, no access to the message, all of these things either call to question the church or the God of the church. No I find it much more obvious that he who spoke by the prophets and then by his Son is still speaking just like the writer of Hebrews warned. A mute God is no different than no God at all. So I can never be a cessationist. Much easier to admit that I am a flawed and empty vessel into which he cannot flow. Jesus said let him who has ears hear, and him who has eyes see. Let me give you an example – the Bible says that “Jesus is the way the truth and the life…” and an Orthodox churchman writes, “no, Jesus is a way, a truth and a life..” or the Church teaching becomes, “Jesus is a way,a truth and a life…” which authority are you going to go to? The Bible? The Churchman? The Church? The Solas would force you to go to scripture … the Solas are just saying, – and this is important – when in competition, the Bible stands “alone” when it comes to authority … you will choose the Bible first. Unless the Holy Spirit no longer indwells those who believe, His gifts are still operational. He gives gifts as He wills, not as we deserve or earn. I don’t believe He has departed, nor has His authority been revoked. While I interpret scripture from a dispensational perspective, I am not a cessationist. Her point is simple. Authority lies in both the church that wrote the word and the church that received the word. You see the Bible was created by the Gospel it did not create the Gospel. It was written as a result of what God did not just what he said. Then he acted in history to enlighten a church who knew his voice to gather the texts. That church holds those words as of highest value but the selfsame church is asked to decide many matters. And the church who knew the voice then is believed to know the voice now. In fact every denomination practices a form of sola scriptura as interpreted by the Spirit inspired people of God. No one really believes in Sola Scriptura everyone gives precedence to some form of apostolate even if only a private one. I believe I am using the term Sola scrptura correctly here. Using your terms, we have a competition: cessationism vs continualism. Choosing the Bible first gives you continualism. As I said- and this was my only point- the cessationalists have to jettison Sola scriptura to come to their conclusion. BD does tomorrow at 1 PM at Pappadeaux work for you? I agree, no one just reads the Bible, – but when a point of contention comes up, where do you go? Like I said I am a pragmatic sola scriptura guy but just am up front about the fact that I need help the church has always needed help and it always goes to the fathers whoever they consider the fathers to be. Didn’t mean to bulldoze by the stop sign. Liked Dread’s #91 and thought most of Steve’s posts today make a lot of sense. That is not the competition I am talking about – not an issue, but the source of truth to settle an issue. The Bible and a Churchman or a Church body say different things -I gave my example above … who do you look to? If the Bible and the churchman say conflicting things, is there any chance you are going with the churchman? Tell me something that you would go to before going to your Bible. But it is *all* I am talking about, at least, for today's conversation. yeah, close only counts with horseshoes, hand grenades, and shaving. To understand Sola Scriptura you need to understand that the canon of scripture is closed. I’m just curious with those that are rejecting Sola Scriptura, are you also advocating an open canon? Andrew, to give an explanation worthy of your great question would take this thread way off topic. I would just say that the Holy Spirit speaks to the Church in ways other than the Bible, such as prophecies and Church Councils. These other methods must not contradict scripture but may add new information. Good point in a way – I don’t trust my ‘experiences’ at all. But are you saying that you would run to your ‘experiences’ first? And what do you test these against? or do they just go untested. My experiences, so far, have been cautionary tales. Bad behavior on my part leading to a renewed desire to live my life in Christ. These other methods must not contradict scripture but may add new information. I think adding clarity is one thing but adding new information is something else all together. Just my opinion. MLD, I hesitate to keep writing because what the Orthodox think is not of very much interest to the rest of the people here. I can imagine everyone’s eyes glazing over. But to give a short answer, things would be tested against “What the Church has always taught” which is mostly based on the Bible but can also be based on the conclusions of one of the Seven Councils, which provided commentary on some of the thornier issues in the Bible. That’s it! No more EO theology in this thread from me! Andrew I believe that the “this book” in Rev. 22:18 refers only to the book of prophecy at hand, that is, the book of Revelation itself. The reference to “the plagues described in this book” seems to suggest that. I do not think any academic exegete would take the curse in Revelation to apply to anything other than that particular book . The apocalyptic writer was likely seeking to protect his symbolic meanings. Some translations have royally screwed that up with calculating of the numerical measurements into more western friendly categories. Thus skewing the meaning. Interestingly it is the literalists who are in danger. If canon of scriptures is closed, I just don’t see how anyone could advocating new prophesies from anyone. It just seems that simple to me. The Scripture applies to ALL Christians, the entire Body of Christ – if someone has a word of wisdom or knowledge for another believer, that is just for the moment. Such a word of course will not contradict the Bible in any way. But that is the key difference. Much like God can heal one person without being obligated to heal everybody. However, what do you do if the real 1st letter to the Corinthians is found and there is no doubt about it? Include it or trash it? Steve, right. Someone could give a local prophesy (“Sue is going to die unexpectedly next week”) but this doesn’t mean the prophecy should be tagged on to the next printing of the Bible. That’s a common mistake about inspiration. The Scriptures are inspired, not the author. No doubt Paul wrote many, many letters to churches and people that we do not have – and if we found one, even if we could be assured it was written by Paul, that would not of necessity mean it is Scripture. Paul wrote a lot of stuff not inspired. Steve, you of course are speaking of the Holy Spirit overseeing the whole process and there is a note of inerrancy in your conclusions. Which is normative for evangelicals. MLD, that doesn’t blow me away but does intrigue me. I think we would have quite some debate on our hands but I suspect the church would reject any other writing. Andrew, your assumption means that you think every prophetic utterance that is from God has been given and collected. There were prophets in the NT don’t forget that, those prophets doubtless prophesied more than what was written. Paul prophesied over Timothy he tells us and he wants Timothy to war a good warfare related to that prophesy. We don’t have the thing he spoke. Prophecy does not have to be scripture. Not at all. I advocate prophesies but do not think them to be scripture. All of this fascinates me. But it is God who is superintending his church and apparently he likes a big mess and manages better than our puny minds. Either that or all of our wrangling about who is RIGHT means more than I think. But it doesn’t mean that it isn’t. This was the whole deal with the Antilegomena and the vetting that took place for centuries. If we found the real 1 Corinthians, would we put it to the same test … or just say no? So what did it look like that John, Locust and Honey, saw the Holy Spirit abide on Jesus? Did anyone else see it? How did God tell him that was the sign? How much did he actually know his cousin beforehand? And who saw those tongues of fire on the day of Pentecost and did everyone see it and was the wind a report from those caught in the delirium and did everyone hear it? We should think about the madness that is our text of scripture and we should marvel at the writings and wonder about all of our conclusions. We claim to know too much and too little. Did I forget my meds today? I don’t mind saying that I believe, by faith, the canon is completely discovered and settled. I think I have some solid ground in that belief, and I gladly stand on the shoulders of those in the Church who went before me. I haven’t taken my meds today – how about this one? Jesus, Moses and Elijah are on the top of the Mount of Transfiguration in some glorified state that may even transcend time. As Jesus is speaking to Moses he is actually standing at the burning bush listening to Jesus talk. And Elijah? he is hearing Jesus in that still small voice. Steve, other than standing on the shoulders of others how do you evaluate inspiration yourself? Take the book of Hebrews – we have no evidence of apostolic writing or that he was a close traveling companion of an apostle … like Luke. Now, he says good stuff, but is that enough? Actually MLD, I could see that happening. But I have a very fluid picture of how the Trinity exists in relation to time. MLD – I take the canon by faith. I’d like to get a comment-tally update. I wonder who is in the lead now this year. My guess is MLD is way in the lead (again). Steve Wright said, “That’s a common mistake about inspiration. The Scriptures are inspired, not the author. No doubt Paul wrote many, many letters to churches and people that we do not have – and if we found one, even if we could be assured it was written by Paul, that would not of necessity mean it is Scripture. Paul didn’t know when the Lord would return. If you watched the Billy Graham special tonight, the young lady’s testimony is exactly what some of us were talking about – the gifts of the Spirit, in operation, without any contradiction to Scripture, but rather to minister to the need of the individual to lead to the glory of God. Steve, I watched it and thought the same thing. This has been a good thread it has given me a great deal to think about. I got a verse stuck in my head that really convicted me of what much of my struggle seems to be. “love keeps no account of wrongs suffered”. This is probably the hardest verse to live out the way I think God wants us to. I agree but there is more, much more. We have a testimony growing before us that is not nearly as conventional but it is explosively amazing and involves so many Spirit empowered gifts and moments it just goes beyond all we imagine. I think it is normative. I recall some comments from a pastor once about his experiences in India. He also discussed things that he saw while on mission in Mexico. He said he saw things in those countries he had never scene or even heard of here at home. His conclusion was that it may be God acts differently in these third world countries than he does in the U.S.A. He wasn’t sure why, but supposed it could have something to do with either the expectations of people in the US and Europe related to the state of our society or possibly due to the different (greater?) needs in these third world countries. His question was if the Holy Spirit is more visible among certain peoples or cultures. Could it me related to the simplicity of faith or some other cause such as that? To me it was an interesting hypothesis that The Holy Spirit and certain gifts and charismatic happenings are more common in some cultures. Specifically that they are rare in the US and Europe vs. simpler or more primitive cultures. One of the things that have truly broken my heart deep down in my personal christian experience has been this, some very conservative folks I knew were basically Holocaust deniers. They often recommended Gary North and Rousas John Rushdoony, when I was first exposed to these authors it made me really upset. But some of the brothers I were around held to these same ideas. At times I was inundated with such ideas from people I cared about. Um ah never mind this just breaks my heart. Maybe some might understand why I react the way I do, this was somewhat common in my early Christian experience, not most folks but very influential folks in my life bought into this type of utter nonsense. J.U. – I agree with your observation and can affirm something similar in my understanding of the international scene. My theory is that it is directly related to the availability of the word of God – the more the Scriptures are available, printed and circulated in the common tongue of the people, the less the Spirit seeks to gift various manifestations. Of course, that is a far, far different thing then what the Strange Fire folks are pushing about cessationism. I believe I can be backed up with some Scriptural examples of God placing the proclamation of His word ahead of signs and wonders – so we preach the word at our services, have plenty of extra Bibles to hand out to any visitors who might not know to bring their own….and don’t expect the Spirit to convict with a miracle when He is more than able to convict through the word of God. I dont hide the fact that I am a heretic if what I hold to is compared to the historic christian religion. But I dont have alot of clout and because I am a coward I dont force my beliefs on others. But the Reconstructionists are awful, if I am a heretic they are arch heretic. I could not stand reading the utter claptrap they spew out. It is utter nonsense on its face. I think that was the whole purpose in God doing that in her life. God looks all the more glorious now and His glory will be seen by all the people that need to see it through her testimony. Dread’s #161 may be right, but the excesses of some seem to spoil it in both the continuationists and the cessationist camps. I try to look at it this way. Did this bring glory to Jesus? Was his kingdom advanced? I think it all comes down to discernment and who was served by this. God, the flesh or the devil. MLD, your #152 got me to thinking. I may ask a few questions about the whole Transfiguration on the Mount thing later to all here. As for now, gotta get to work. Read the Luke account of the Transfiguration. It is the only account that actually says what Jesus, Moses and Elijah were talking about. For flesh and blood it would be time travel but spirits and glorified bodies are outside of time. What has always struck me about this event is when Peter gets his bright ides to build temples and God interrupts him as if to say No, not monuments or altars. Just listen to His words and do what He says. Totally antithetical to religion.